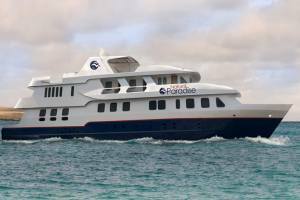 About Last Minute Galapagos Cruises . 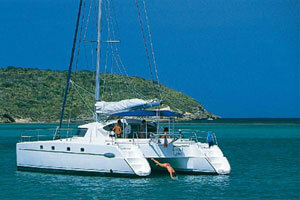 . .
We receive last-minute offers on a regular basis. Often they are VERY last-minute, so we have no time to get them up on the website. 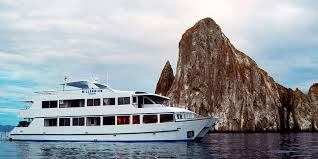 So if you are looking for a last-minute Galapagos cruise then please email us with your preferences (length, approximate dates, number of passengers, price limit, etc. ), and we will find out what is available within the next few days. 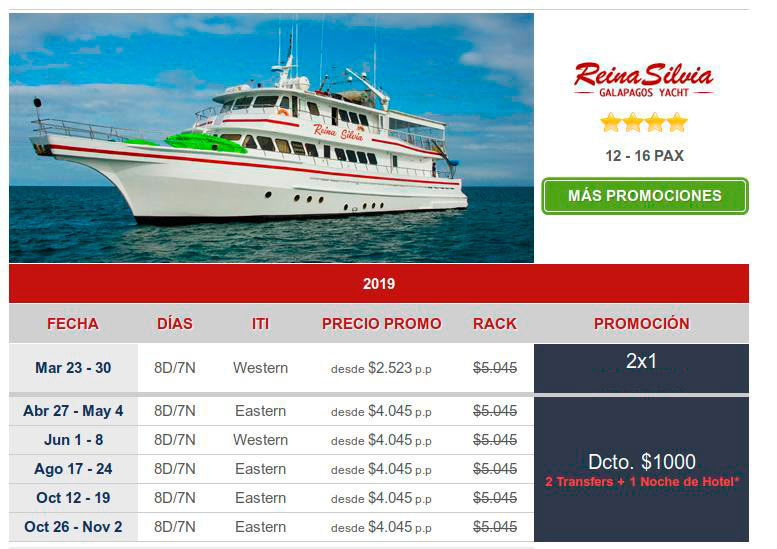 While it is possible to find reasonable savings on last minute Galapagos tours, especially at certain times of the year, visitors must bear in mind that the boat operators are often reluctant to offer great savings at the last minute for fear of undermining their market by encouraging tourists to wait until the last minute to book. 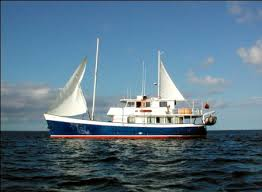 In our experience the best boats with the highest guarantee of good service tend to book up well in advance. 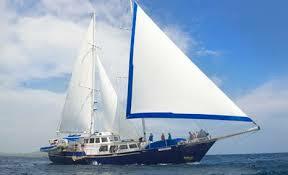 So it is worth seeking out reviews of any boat on which you are interested in purchasing a last-minute cruise. 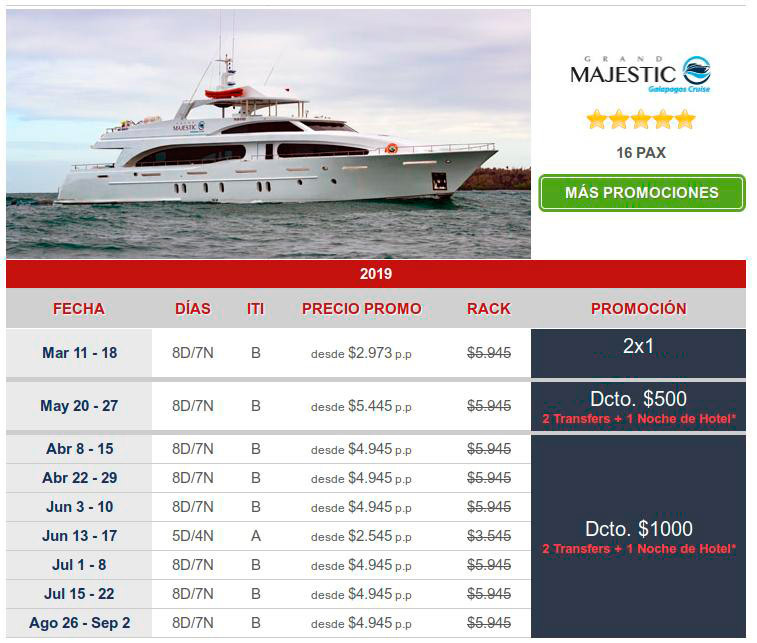 You want to make sure that the limited time you spend in the Galapagos will be a great experience, not one of frustration as things don't turn out as you expected. All the boats represented here below come well recommended! 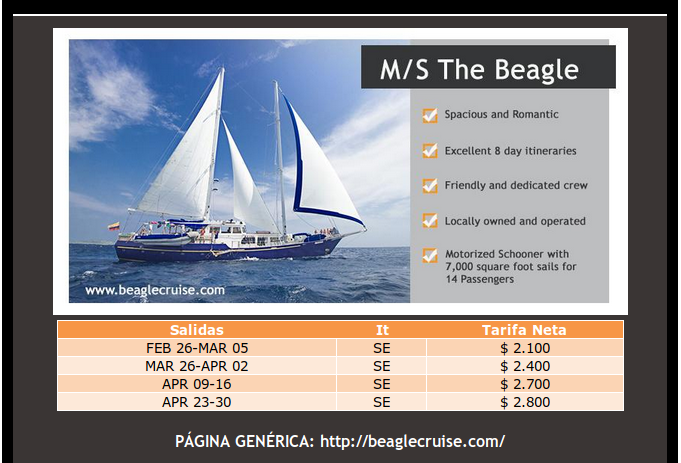 The Beagle Motor Yacht - last minute price! Click to contact us about this offer! 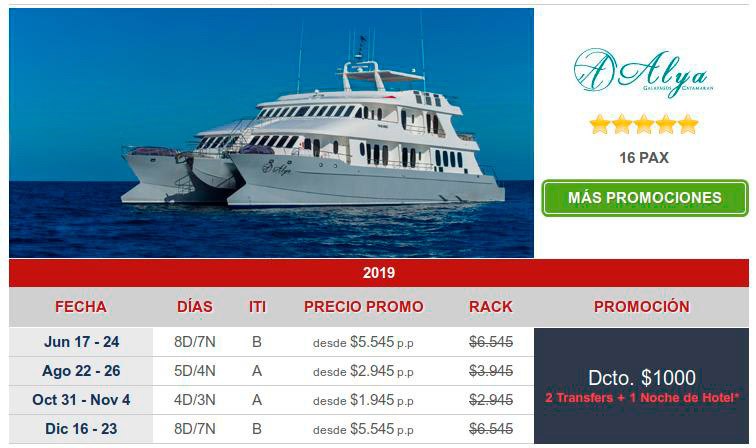 Danubio Azul Motor Yacht - last minute price! 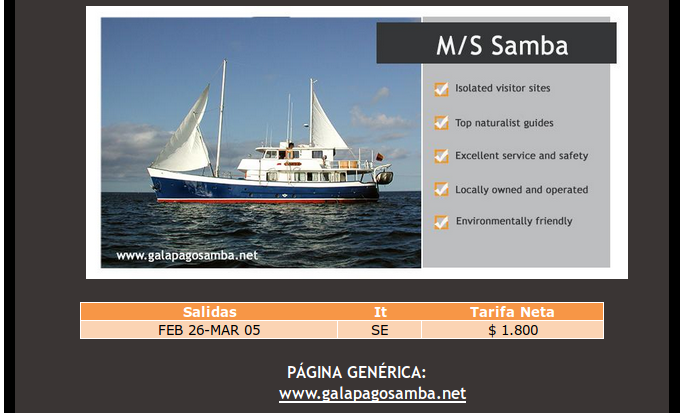 The Samba Motor Yacht - last minute price! 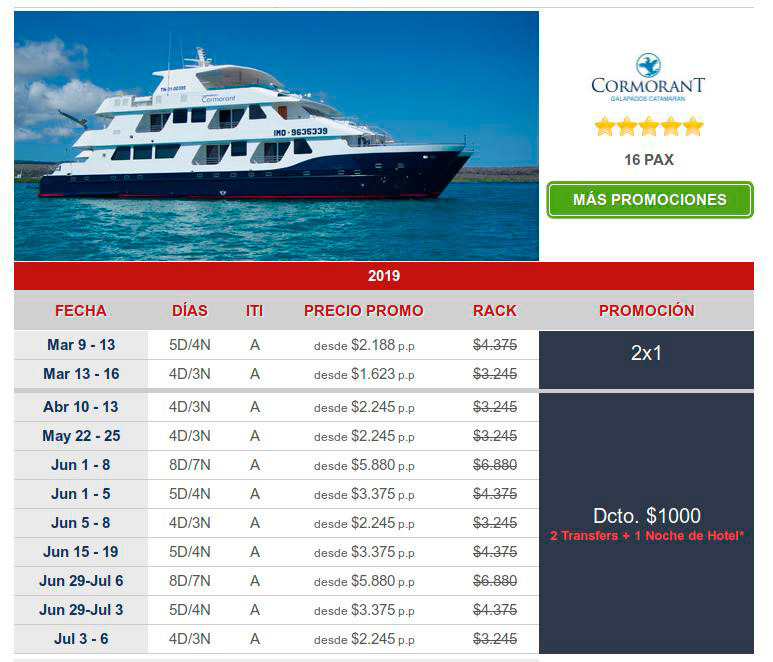 Luxury cruise at an economy-class price!. 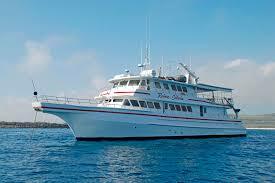 Luxury cruising for your Galapagos Adventure at a great price!. 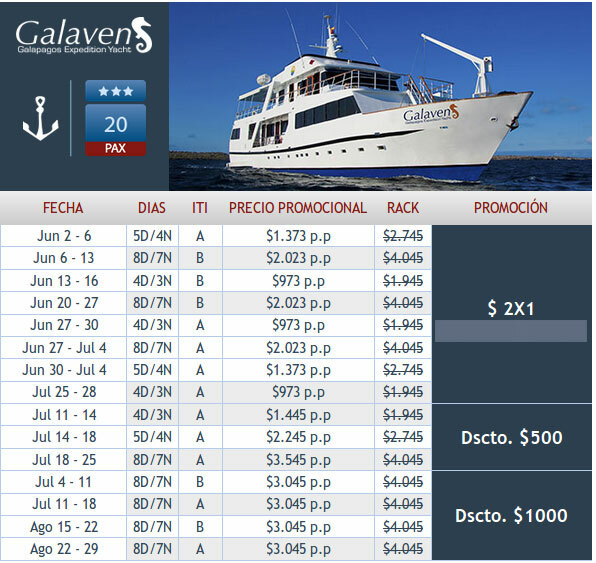 More great offers for your Galapagos Adventure at the best prices!. 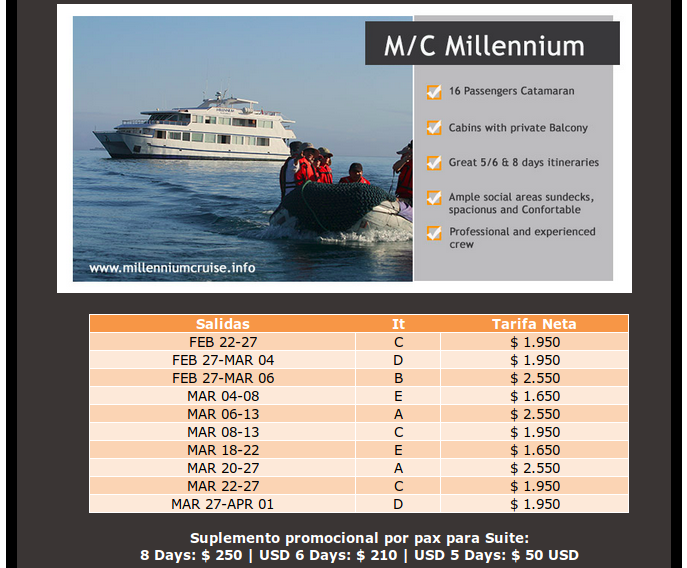 The Millennium Motor Yacht - last minute price! 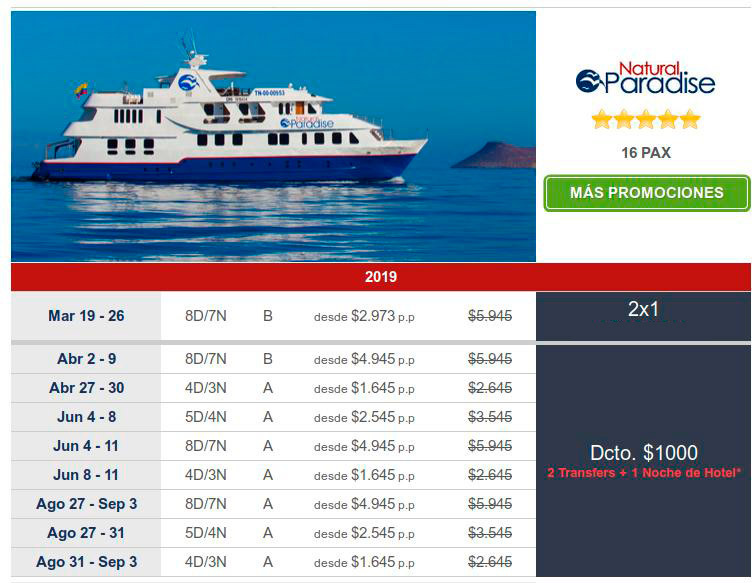 More great offers for your 2019 Galapagos adventure!. 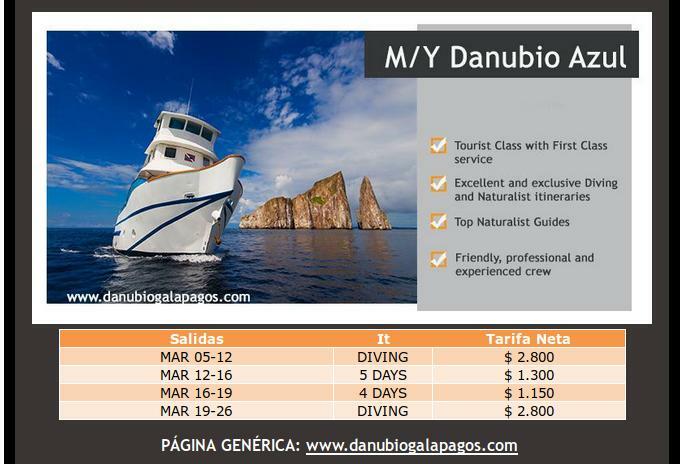 Another great offer for your Galapagos adventure!.